In a broad pan, add oil, mustard, bay leafs, cardamom, and dry red chillies. When they splutter, add ginger garlic paste, onion and saute to lite brown. When the onion is done add green chillies, fresh vegetable and salt, saute for few seconds, and then add tomato, spices, mix it and cook for 1 minute. After that add the rice, food color, salt and water as per requires. Mix all together gently, cover the lid and bring to boil. Open the lid, after the water is absorbed, mix it one more time very gently, low the flame and cover the lid and cook to complete. Looks very colourful and delicious.. This rice dish looks packed with flavor and a variety of colors-very pleasing to the eye. Thanks for sharing. Great looking dish. Very colorful and mouthwatering! Love your colorful biriyani..Awesome pics too!! 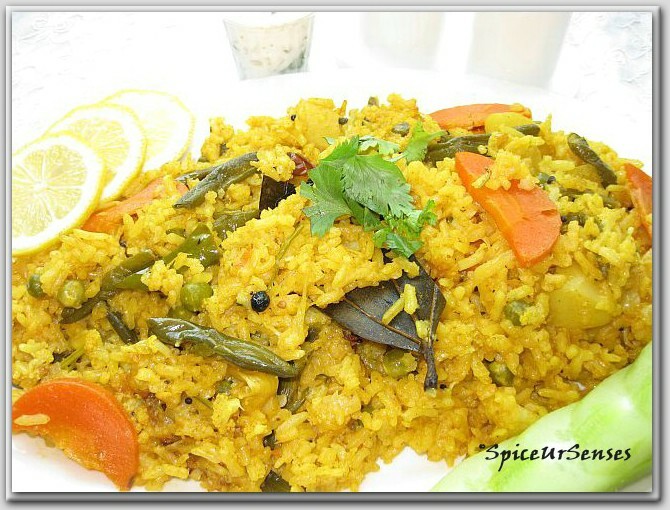 Fabulous and delicious briyani..looks tempting.. 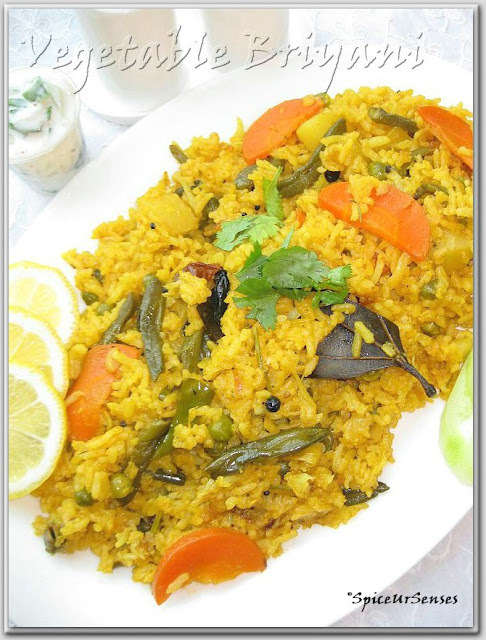 Very tasty looking biriyani. Loved the flavour and the color. I love biriyani .Yours looks yummy! Thank you very much for your precious comments..